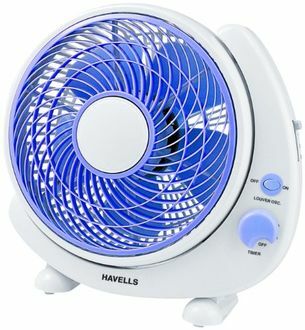 A portable air circulation device like a Table Fans is an affordable alternative to other appliances to manage the summer heat. They are affordable, portable and lightweight. 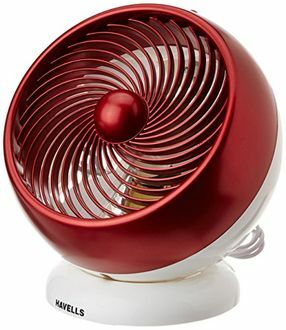 Table fans can also cool areas that would be out of reach to other fans and cooling appliances. 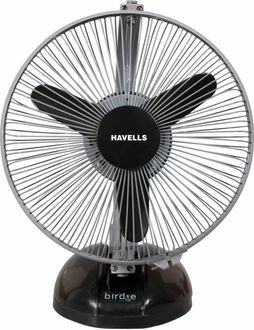 With an extension cord, a table fan can be used on a rooftop, garden or a balcony. 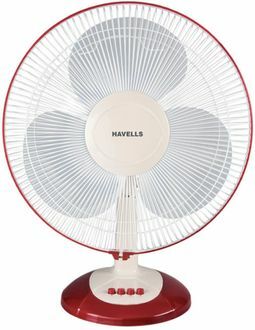 Table fans come with an oscillation feature which can be employed to further the fan's reach. 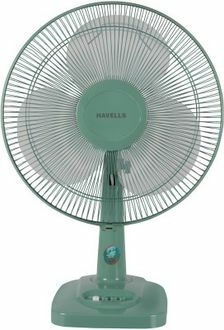 If you do not need a table fan's 180-degree oscillation, simple turn it off to continue using it in the regular mode. Recent improvements have also made table fans remote accessible. 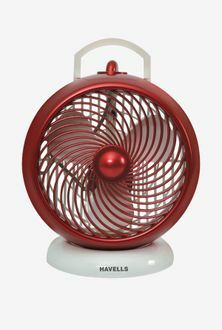 Table fans are available in different sizes and colors, and you can pick one that best suits your needs. 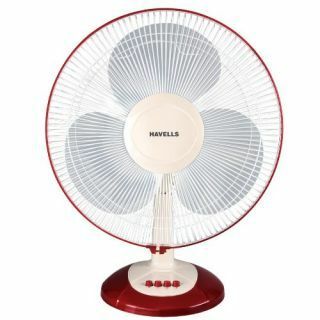 The Havells table fan price list below lists 8 Havells table fans at their best selling price from online and offline stores in India. These are reviewed on a daily basis and was reviewed on date.